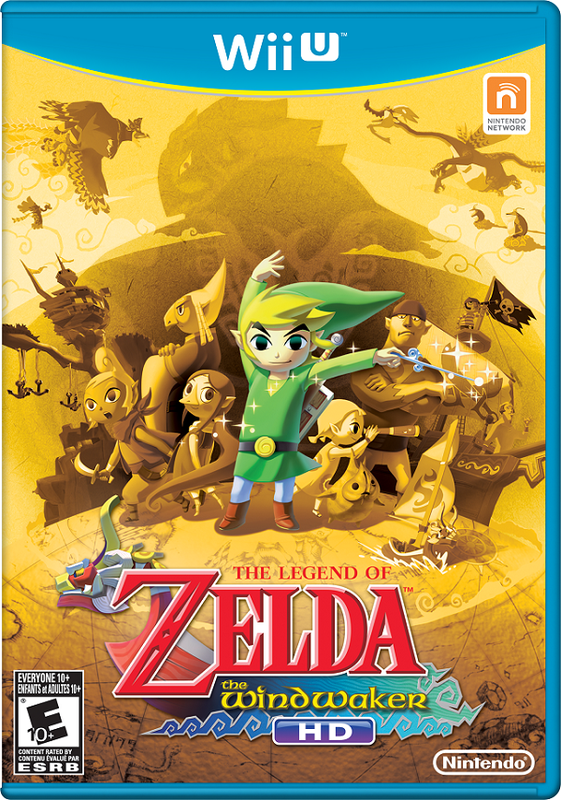 Nintendo has just released the official boxart for The Legend of Zelda: The Wind Waker HD and it is quite stunning. 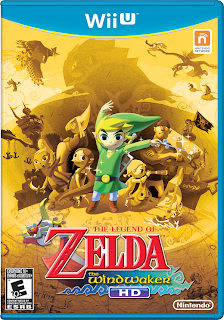 Personally, I always felt the boxart for the GameCube original failed to capture the scale and adventure of this excellent game but this new art is wonderful and the gold background is an excellent nod the series legacy. While further details for the game remain sparse, a couple of gameplay details have surfaced with today's Nintendo Direct. The new red sail that allows the boat to travel at double speed is called the Swift Sail. The Swift Sail will not only allow faster travel but it will always be full of wind meaning you no longer have to change the direction of the wind once the sail has been found, a major plus. A new Nautical Chart will be displayed on the Wii U Gamepad which works like a car GPS. This is designed to make navigating small islands and finding salvage points around the Great Sea much easier. Rumor's have also surfaced that the game may feature a higher difficulty level which is sure to please veterans of this classic. Though this is not confirmed, it would fit with the 3DS remake of Ocarina of Time which featured the more difficult Master's Quest upon completion of the main quest.